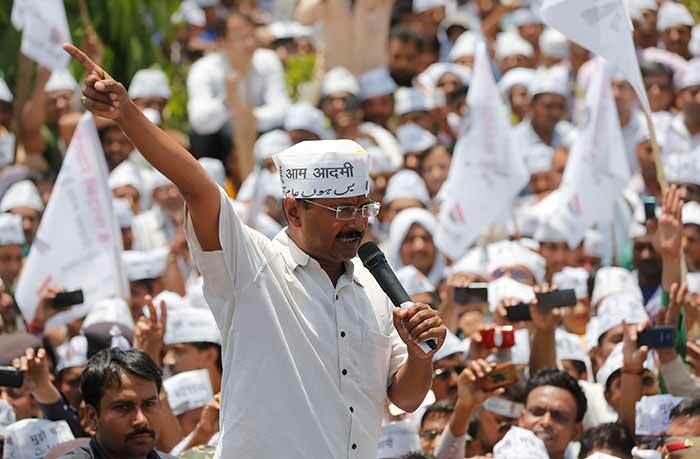 Aam Adami Party Convener, Arvind Kejriwal filed his nomination from Varanasi for the biggest face off, of Elections 2014. He takes on BJP's Prime Ministerial candidate Narendra Modi. 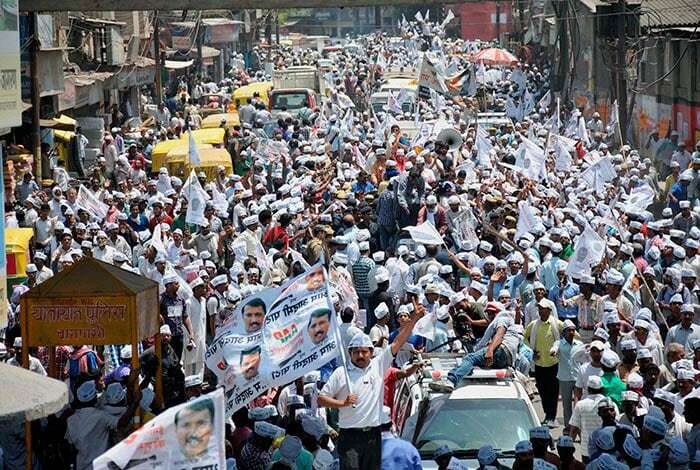 Crowds at AAP convener Arvind Kejriwal's nomination filing procession in Varanasi, Uttar Pradesh. 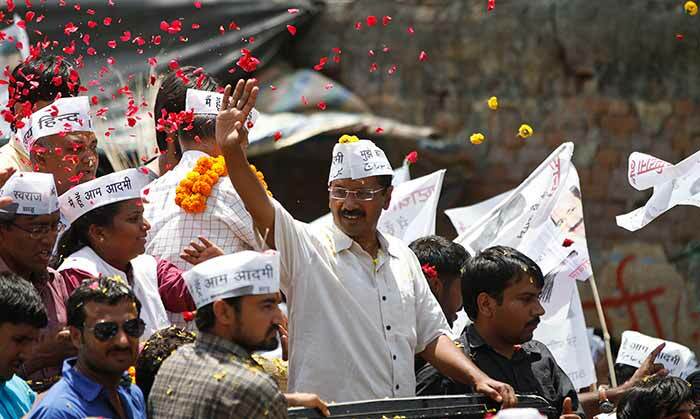 Arvind Kejriwal waves to supporters as he arrives to file his nomination in Varanasi. 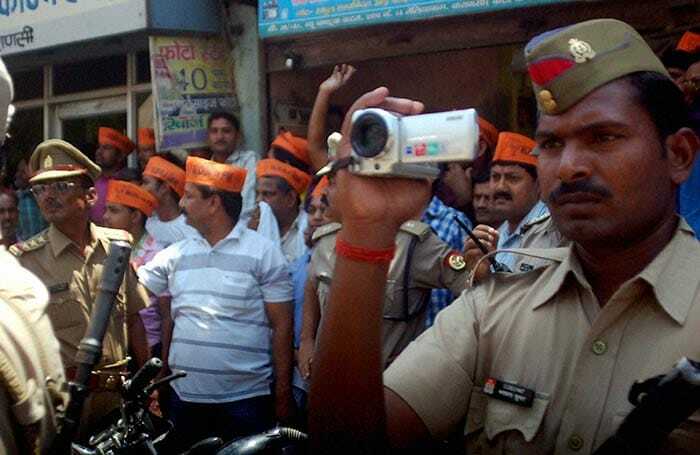 A police man shoots video of AAP convener Arvind Kejriwal's nomination filing procession in Varanasi. 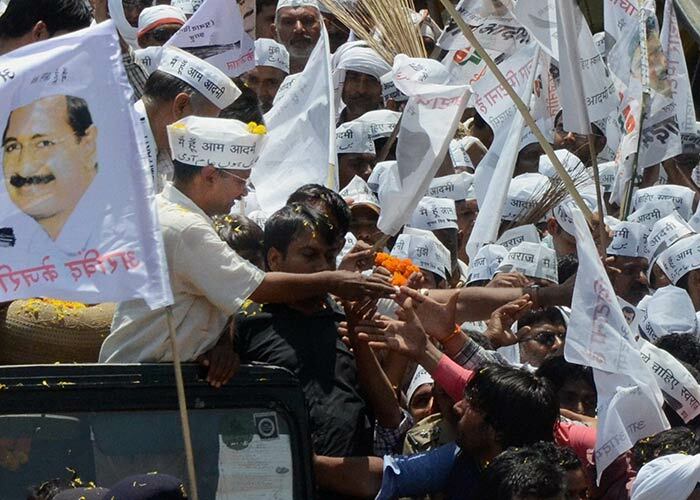 Arvind Kejriwal with supporters during a road show on the way to file his nomination papers in Varanasi. 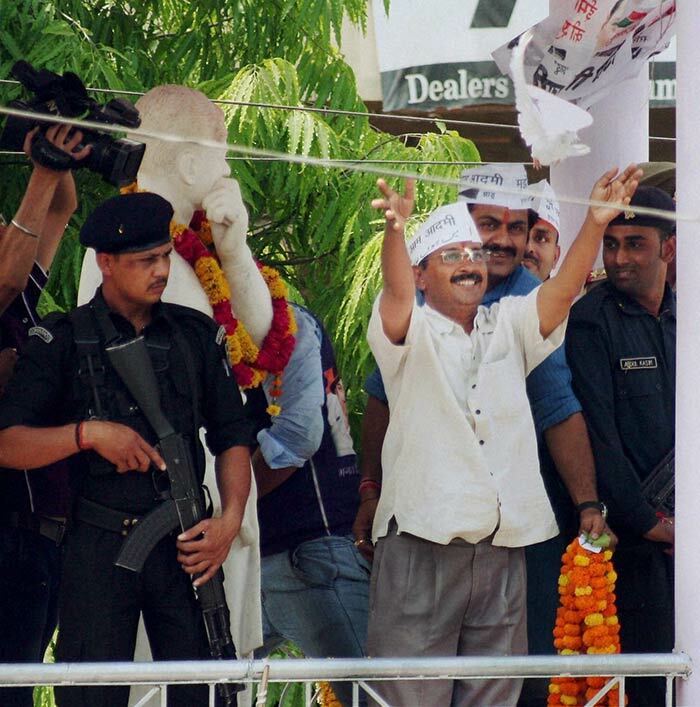 Arvind Kejriwal releases a pigeon at a roadshow before filing his nomination papers. Arvind Kejriwal addresses supporters before filing his nomination. Arvind Kejriwal filing his nomination papers in Varanasi.